Through image competition, OPPA members are also eligible to achieve OPPA exhibition merits toward the OPPA Associate Fellow of Photography degree (silver medal) or the OPPA Fellow of Photography degree (gold medal). OPPA strives to use the same rules that PPA uses for the IPC (International Photographic Competition) and the District Competitions. This gives you the opportunity to test your images at a local level before entering these larger competitions. These rules pertain to images entered as digital files created by traditional photographic processes as well as those captured electronically with a digital camera or scanner. Please go to www.printcompetition.com and create your account. Then start uploading your images and be sure to enter a title. Choose a category from the list below for either quarterly or the Annual Open. If entering a Digital Artist category you must provide guide images. You can pay your fees through the system as well. Deadlines for submission and payments is 6:00am on Tuesday prior to the competition date. Image Category Descriptions can be found here. Registration opens 30 days prior to the event date. 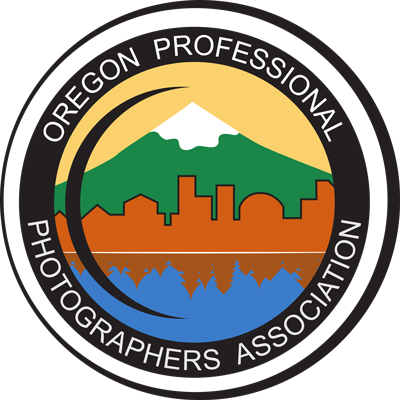 The registration fee for members is $10 per image or album entered. For the annual Open competition, the non-member fee is $20 per image or album. All Entries must be registered and submitted by 6am Tuesday prior to the Photographic Competition (for both our members-only competitions throughout the year and the annual Open Competition). Change to entries are allowed until the deadline ; no refunds will be issued after the entry fee is paid. Entrants are required to register on www.printcompetition.com and create an account to participate. Entrant must have captured and created the original exposure except in the Digital Artist category. Digital Artist entries may be created with images not captured by the entrant (such as stock photography) but all artwork must be done by the entrant. The entrant’s name shall not appear anywhere on the face of the entry. An album that has been printed as a studio sample by be entered if the studio name is covered completely (applies to Annual Open Competition only). A maximum of 4 entries image or albums may be submitted per entrant, per competition. No entry will be eligible that has been made under the supervision of an instructor or as a class assignment. No two entries shall be of the same subject. Images entered in the Documentary/Photojournalism category must be un-retouched except for conversion to black and white. Any other retouching will result in disqualification of the image. Files must be sized so the longest dimension is 4,000 pixels. The best aspect ratio to use for the monitor for your image is a 13:20 ratio of 2600px by 4000px. Each file must contain an embedded color profile of either sRGB or Adobe RGB1998 and be saved at a JPEG quality setting of 10. In most cases, total file size should not exceed 3.5 MB. The digital file submitted MUST be for presentation with an appropriate digital mat, just as you would submit a print. Members only – Image competitions are open to members only and you must be current on your membership to enter or the submission will be disqualified. The OPPA Annual Open Image Competition is open to anyone to enter. Join OPPA now if you’re not a member. It is not necessary to be present at the image competition to be eligible to participate, however it is strongly recommended. Any image that has been entered at a Quarterly Competition may be entered at the Annual Open Competition. It will be re-judged and may receive a different score (either higher or lower) but it will not receive a second merit at the Open if it received a merit at the Quarterly Competition. Entering an image in the Annual Open Competition enables that image to be eligible for a category or division trophy. 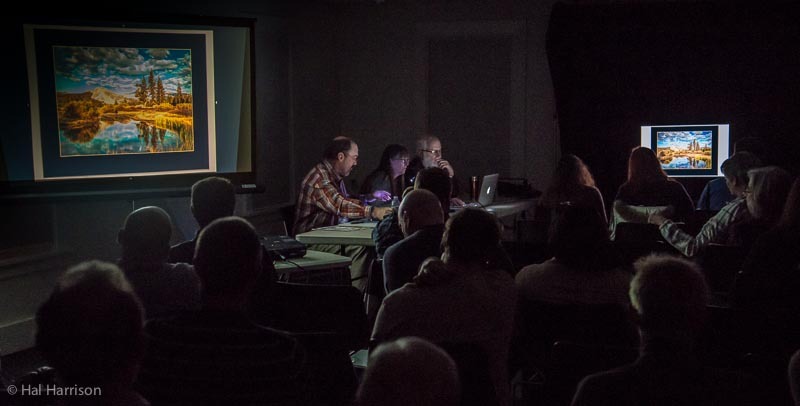 The score received at the Annual Open Competition will not replace the score received at the Quarterly Competition and will not have any bearing or standing for Photographer of the Year. Please note that while judges strive for consistency, an image may receive a different score when it is re-judged by a new panel of judges. This is not reflective of one panel being easier or harder than another panel but reflect how that judging panel felt about that image at that particular moment in time. All images are viewed with the monitor in a horizontal (landscape) orientation, consistent with PPA District and IPC standards. Entrant must have captured and created the original exposures. The entrant’s name shall not appear anywhere on the face of the entry. A maximum of three entries may be submitted per entrant. All page/spread files must have the longest file dimension at 4,000 pixels, have an embedded color profile of either sRGB or Adobe RGB1998 and be saved at a JPEG quality setting of 10. Each page/spread file may contain as many images as you desire. An entry shall contain a minimum 5 page/spread files up to 36 page/spread files. Files are to be numbered in viewing order using two digits, i.e. 01.jpg, 02.jpg, 03.jpg, etc. Studio identification or entrant’s name cannot appear on any file within the album entry. Images that previously merited in any Annual OPPA print competition may not be entered. Images previously merited in any OPPA quarterly competition, with the exception of quarterly competitions within the current calendar year, may not be entered, including any image from a merited album. Images previously merited in IPC (International Photographic Competition), with the exception of the current calendar year, may not be entered, including any image from a merited album. No entry shall be eligible if the image was created under the direct supervision, or immediate guidance of an instructor. No single image from a merited album may be entered as a standalone image in any OPPA competition. Any entry that has been reproduced from an existing photograph, portrait, graphic or any other artwork produced by another person is a violation of the competition rules and will not be judged, accepted or displayed. If an entry, in the good-faith opinion of the jury panel violates copyright, trademark or any other applicable law, that entry shall be disqualified. Digital Artist entries may use images that were produced by other artists with that artist’s permission.